When I first started using Pinterest in 2011, I fell in love with the beautiful sunsets and nature shots. I didn’t, however, immediately see it’s use in my social media strategy. So I created a Phenomenal Photos pinboard and later a popular “Moonscapes” pinboard that Pinterest began introducing to new users. As I read more about this site, I gradually appreciated the power behind images. Also, I created boards for content marketing, social media, and branding. There’s a novel in me that I’ve started to write so I created pinboards on Spain and Spanish cuisine. Then I created a pinboard for my blog and later for my podcast. Finally, I created some boards just for fun. Early on I decided that I wanted Pinterest to be a playground of sorts too. Then I finally got it. Pinterest – which the founders call a browser, not a social media network (but no one seems to take them too seriously) – is a powerful traffic referral website. So, if you see me on the street and ask me why I love Pinterest, this is what I would tell you. Yes, I’m being a tad melodramatic in my use of words such as love and adore but I really do like this website — almost as much as I love Twitter. I adore its power to refer traffic to my website, enhance my business and spur new book sales. It’s second to Facebook and the third referral of traffic to my website. Now I create images for my blog just for Pinterest. You can’t see these images because I load them to Social Warfare, my social share plugin. But you’ll find them on Pinterest on my blog pinboard. Whenever I tire of reading text online, Pinterest is my go-to website. My eyes rejoice in the images, I have a few laughs when I find funny memes, and I enjoy adding images to my fun pinboards. I like to call the experience a vacation for my eyes. Also, no one complains about politics or bad husbands on this site. I like how positive this online environment is. Pinterest is a great source for quotes. I can find quotes that I can use on social media – provided there aren’t any copyright issues – or use the author quotes I collect. I also look for quotes to use in customized images using photos I create using pictures I find on Pixabay or Unsplash. I use Pinterest for content creation. I look for images on topics related to my clients’ interests, click the website link, and navigate over to a blog post. If I like it, I’ll retweet the post. So Pinterest makes my job a little easier. Pinterest is a bookmarking tool for me. When I find a post that I want to read but don’t have time at the moment, I pin the blog post image to a pinboard for later reading. I do this with all sorts of information including infographics about current social media image sizes, for example. Pinterest provides inbound links to your website. Whenever you pin an image to a pinboard from your website or self-hosted blog, that image carries your web page’s URL. 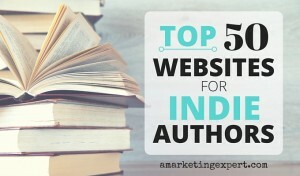 Just like that, you have an inbound link to your website from an authority website. Pinterest integrates easily with Facebook. Instead of pinning images from Pinterest to Facebook, create a tab on your Facebook page and your pinboards will be available to your fans. Not sure when to post your tweets and updates? Download the Social Media Cheat Sheet! Do you use Goodreads much? Expand your knowledge with The Author’s Guide to Goodreads. Inspiring reasons, Frances. I’m looking forward to our work together and now I want to add Pineterest. Julaina: I love Pinterest, and as I say in the post, almost as much as I love Twitter. Both are so much fun to use. You make it sound fun and easy, Frances, but to me it is just drudgery. As a senior, I do not have tons of friends that can explain things to me and trying to get the gist of Pinterest (and Twitter) from, what I call, ‘geek speak’ is an exercise in pure frustration. They just assume you know the basics (101) and, like you, they go on and on about the wonderful things you can do with the medium, all of which is useless to me since I don’t know what to do in the first place. I did manage to create a board and put my book and other stuff on it, but no one ever goes there. So I am back to marketing. Somehow I have to get people to my site but I have no idea how. I use Facebook (which you must hate since you did not even give it a mention) because on there, at least, I know how to upload pictures and I can write or copy and paste as long as I want with out red numbers coming up and telling me I cannot write anymore. Any advice for a septuagenarian who gets easily confused by these sites? Wayne: I don’t hate Facebook and I have written about it on my blog and in my books. In fact, in my first book I devoted two chapters to it. Your pinboards on Pinterest have unique URLs. Copy and paste that URL and tweet it and post it on Facebook to generate traffic. You need to be social all on social media and that means Pinterest too. Like other images. Leave comments, etc. Over time you’ll see results. Thanks, Frances, for changing my perspective on Pinterest. I always thought it was just a place to show your favorite photos. Time to take another look. Frank: I’m so glad you’re giving it another chance!